A beautiful piece of circa 1900 solid oak English furniture. 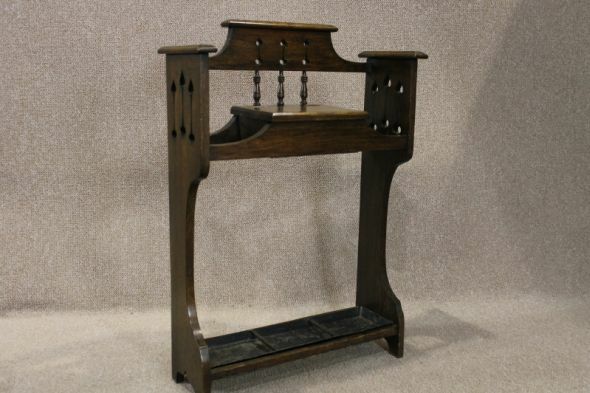 This useful and attractive Liberty inspired stick stand features a traditional arts and crafts design. It has a small glove compartment, and numerous compartments for sticks and umbrellas etc. The item is in good condition, but as you can appreciate it has been used on a daily basis, and will show signs of wear and tear. It does still retain its original drip tray. An ideal piece for any period interior.